What’s that, you say? Pimoroni has another new super sweet tri-color e-paper display? Oh feast your eyes! 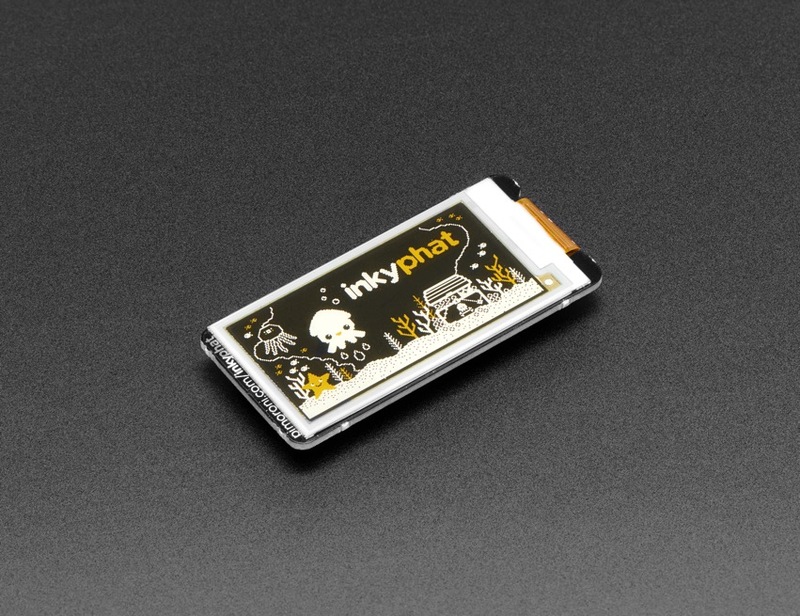 This Inky pHat in Yellow/Black/White is a petite 212×104 pixel three-color display that looks fantastic and is easy to read even in bright daylight. Broadcast your tweets, the weather, or even graphing data. 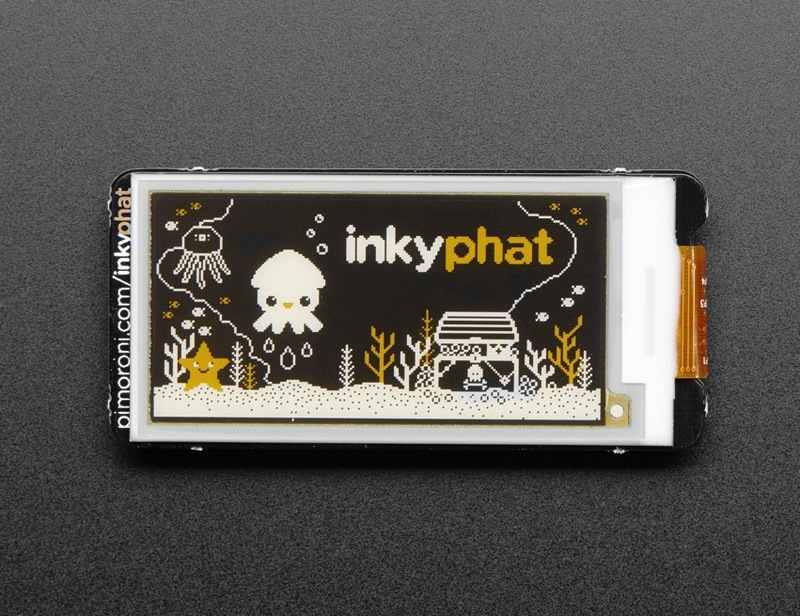 eInk is great for displays that don’t change often, due to the 3-second display-change-cycle. But the contrast and readability cannot be beat. Best of all, if you shut down the Pi, the display stays on, which is pretty magical the first time you see it. No soldering required! The display is already assembled and connected via a ribbon cable. 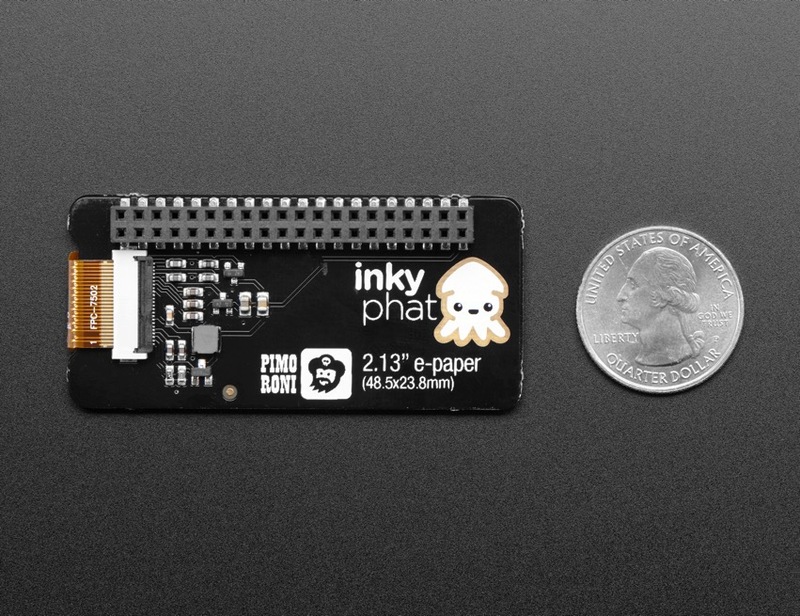 Just plop Inky pHAT on your Pi of choice and run the installer, and soon you’ll have the cutest little electronic paper display. This’ll work on any 40-pin version of the Pi! Quick note: Pimoroni’s software does not support Raspbian Wheezy.